New Year. ./ … New Beginnings. .// /. Back In Black// . ./.. ….. ./ . There has been a massive shift and change of course in my art work. 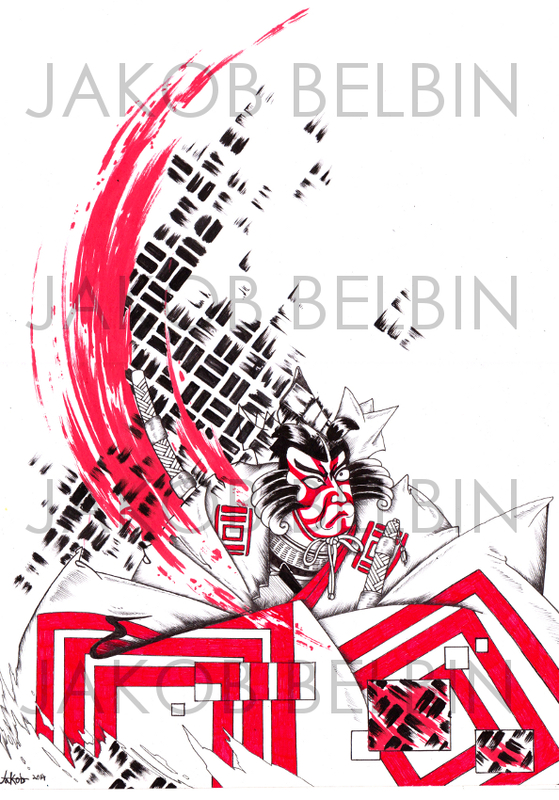 The past four years have seen a long and slow decrease in the out put of Original Artworks and a sharp increase in the output of Drawings and Tattoo designs. it has been a conscious effort to pursue a career that allows me to create everyday, change peoples lives and develop as an Artist. I am on the cusp of achieving this goal and becoming a licensed Tattoo Artist, But that’s not the end of the journey it is in fact only the beginning of a new field to explore. While Painting will always remain a true love of mine, Drawing, Design and Tattooing will be at the forefront of my output now, which has over the past few years given me completely new ideas to explore, New challenges to overcome and new skills to master.. ././. The body too is an canvas and one i cannot wait to start making my mark on. . /././/. . Let 2018 be the year for Ink. ./ /. Black Ink. ./ . Courting a new art form. . /./. Since i exchanged the brush for the pen my work has changed so dramatically, while it still holds the hallmarks of my fine art, it has grown into a completely different monster. . /./. 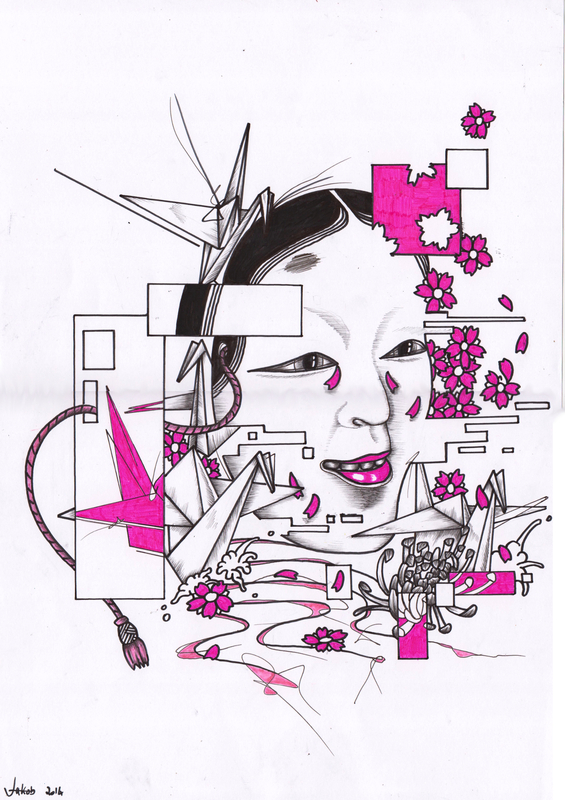 Make A Thousand Paper Cranes . . ././/. . /.///. H..@y New FIIIII-sh. .. . ///. . ../. 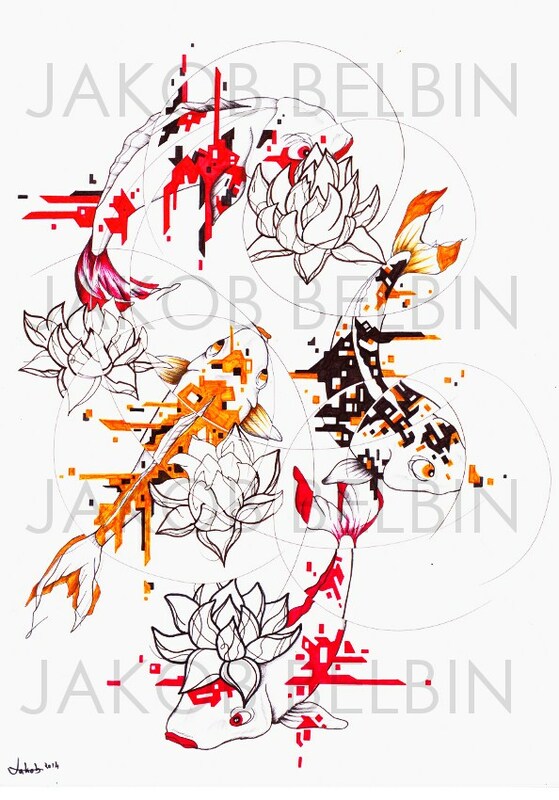 Taking the idea of GLITCHED koi further, by adding more fish and colors, water ripples and flying lotus flowers. /. ./. Shogan Glitch. . . ./../. Koi Blimey!!?. . . ////. 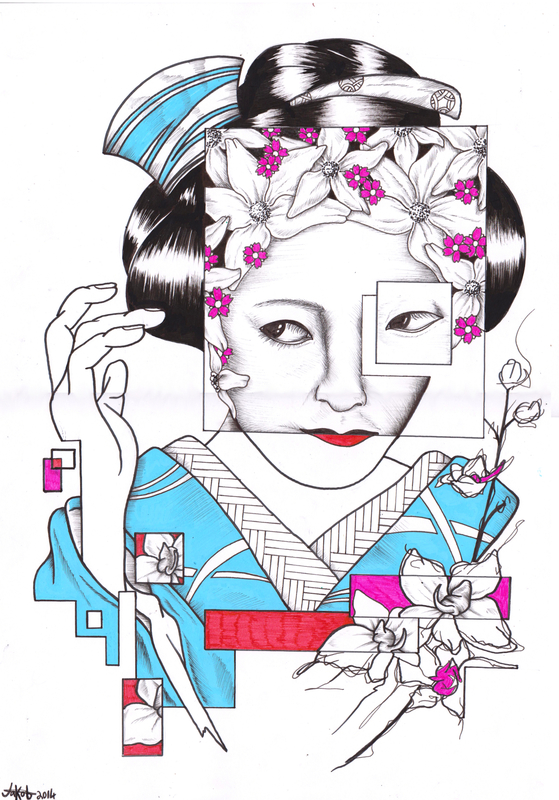 Expanding on the ideas of bringing classic Japanese tattoo bang up to date/.. Glitt—-chE/D KOI F¦¦¦s+.. /. Flower Fringe.. ./ ./ . N000+H |\/|. ..@Ask. / . 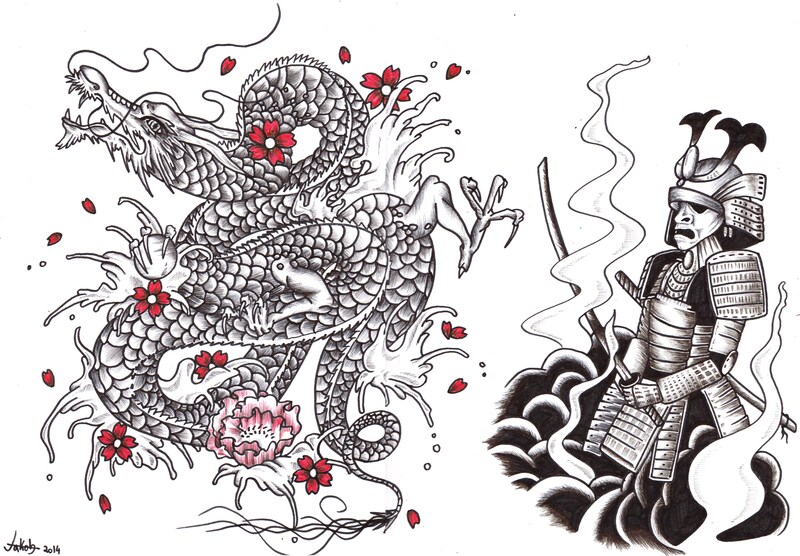 Here are some of my most recent work sheets for tattoo design. . . ./././. As you can see it is heavily slanted towards Japanese themes of design. Dragon vs Samurai.. / ./. . ./ . // . 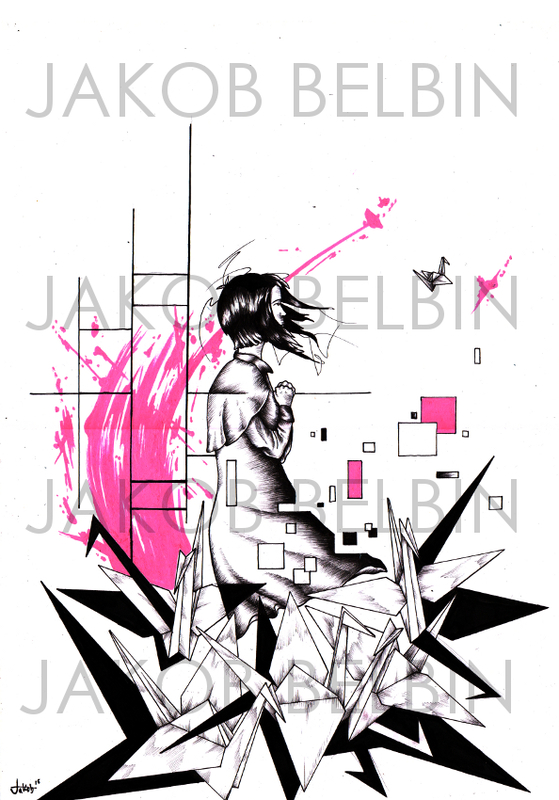 Subscribe To Jakob Belbin's Art Here.. . ... . ... . .. ... . Subscribe. .. ... . . .. Girls And Boys. ./ . Old And New.,/.When We Grow Up And Move On. .. . .///.